[prMac.com] Thessaloniki, Greece - Indie game developer Total Eclipse today announces the release of the Premium version of its highly acclaimed free game, A Clockwork Brain. 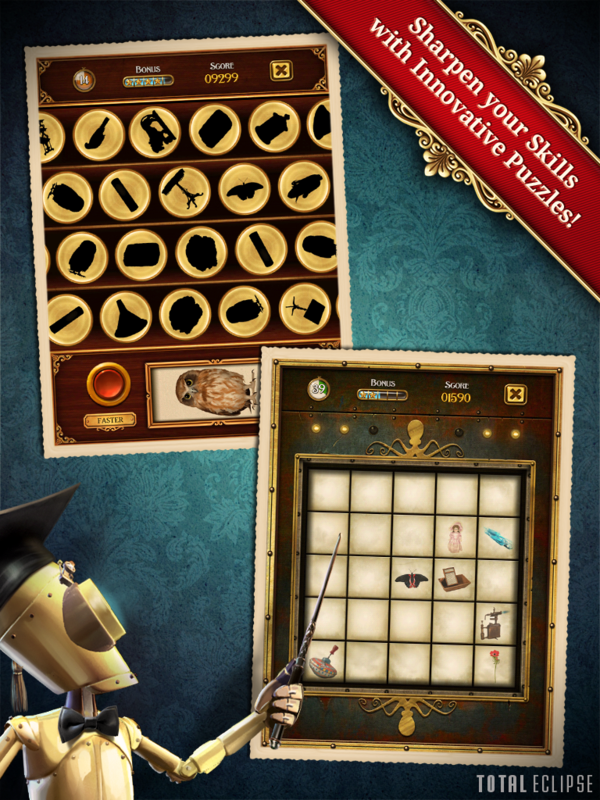 A Clockwork Brain Premium offers ten mini-games designed to test cognitive abilities such as visual, spatial, logic, language, arithmetic, and memory. The game features fast-paced, bite-sized game play; each mini-game playthrough is approximately one minute of intense brain training. Upon starting the game, players can access Challenge Mode, which provides an overall training activity with four games to be played in sequence. If they prefer to train in a particular mini-game, they can do so in Single Game mode. Both modes support OpenFeint and Game Center Leaderboards and Achievements, while local highscore tables are also available. Exceedingly skilled players can try reaching the ultra-hard Insane Round which gives great rewards to those who can last long enough. Depending on how well players do at the mini-games, A Clockwork Brain awards them with Sprocket Tokens. Tokens can then be used to unlock a range of free upgrades such as an extra bonus mini-game, Single Game mode, Create Challenge, and wallpapers. 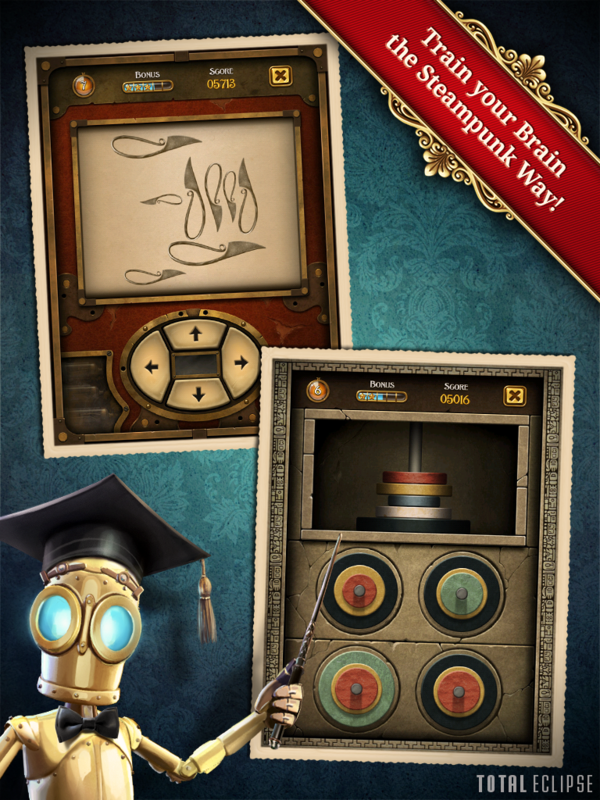 Clockwork Brain Premium 1.0 is normally $2.99 USD (or equivalent amount in other currencies) and available worldwide exclusively through the App Store in the Games category. It will be offered at $1.99 for a limited time period. Total Eclipse, an independent game development studio based in Thessaloniki, Greece, designs and develops downloadable, portable and online games catering to a wide audience since 2004. The company delivers original concepts that guarantee a thrilling experience with long-lasting appeal. With great attention to detail, aiming to please even the most demanding players in the market, the company strives for perfection so it can offer the best to the player. Copyright (c) 2012 Total Eclipse. All Rights Reserved. Apple, the Apple logo, iPhone, iPod and iPad are registered trademarks of Apple Inc. in the U.S. and/or other countries.